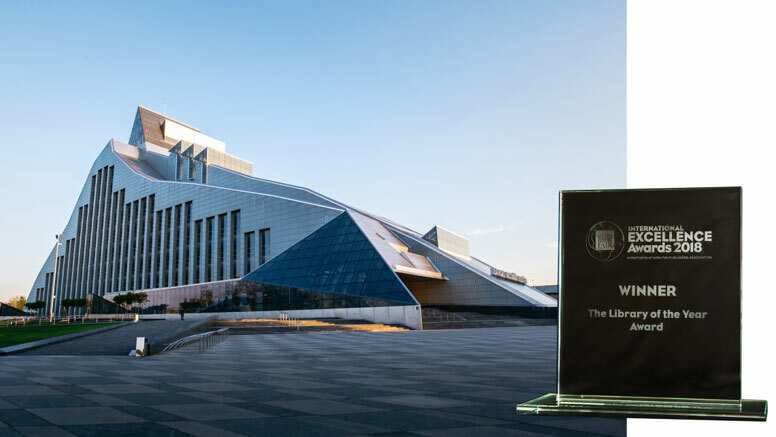 The National Library of Latvia was shortlisted with three other libraries: Biblo Tøyen (Norway), Dokk1 (Denmark) and São Paulo Library (Brazil). 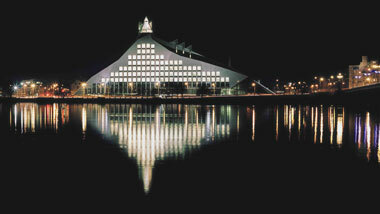 The building, which has come to be known as the Castle of Light, was opened in 2014, and is recognised as the greatest achievement of architect Gunnar Birkerts (1925–2017). The Award was presented to Director of the National Library of Latvia – Andris Vilks - by David Lindley, Director of Designing Libraries. The National Library of Latvia is all about people – with the user experience, openness, service quality and staff competence as its main priorities. The home page of the National Library.